Social Media Marketing through sites like Facebook and Twitter has taken the business world by storm, bringing a whole new and exciting dimension to on-line marketing. Most big companies are already using Social Media Marketing in some form or other and lots more are jumping on the band wagon every day. But it’s not just large corporations who can take advantage of the social media boom. Social Media Marketing allows you to compete directly with your larger competitors (and smaller ones alike). So, what could be better? 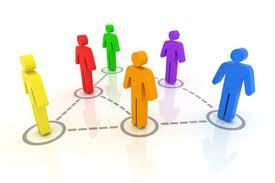 With 750 million members, Facebook is a phenomenally popular social networking site. Through the use of fan pages, news feeds and groups Facebook provides you with an astounding opportunity to connect with your current customers and market to your future ones in both a local and global arena. With Social Media Marketing such as this, in addition posting that leaflet through doors in your area, you can post it to the whole world! Facebook marketing is one of the most powerful tools you can access within the world of Social Media Marketing. Using Facebook fan pages you can gain the visibility you crave in order to compete with the big boys. Below is a list of a few things you can do using a Facebook fan page, however, the list is endless. A bit of creative know-how can provide you with a supply of fresh ideas to make the most of it. What do you think about when you think of Starbucks? Obviously coffee comes to mind, but in what setting? Going for a coffee with a good friend; grabbing that coffee to go on the way to work to make the start of the day more bearable; going somewhere nice and comfy when you’re feeling a bit down? What Starbucks offers to its customers is not just coffee, a product or a service, it’s an experience. This same theory can be applied to the use of Social Media Marketing. What you’re creating is a platform on which to sell your products or services to new and existing customers. But what you’re also doing is building a rapport with your customers, whereby your brand creates an on-line community which gives your customers a sense of ‘experience’. This creates a sense of customer loyalty, which, in turn, leads to brand power which ultimately leads to sales of your products and services. With Social Media Marketing you can allow your genuine passion for what you do or sell to shine through. This allows people to relate to you and your business which creates the psychological effect of ‘pre-selling’, which can result in a higher conversion rate of visitors to customers. 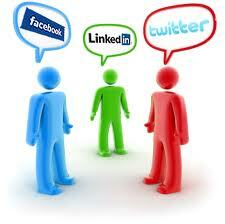 Social Media Marketing is becoming a ‘must have’ in the world of marketing. It enables smaller businesses to follow in the footsteps of their larger competitors and use the same marketing techniques as the big boys but without a huge financial outlay. In many ways, social media is a great leveler as even the smallest business has access to the same tools as the largest multinational. Yet on the other hand, early adopters of social media are already reaping the benefits of a strong customer-business relationship and there is a clear and ever present danger that the gulf between large and small, early adopters and those lagging behind, will grow. There is no time like the present to harness Social Media Marketing as sitting on the fence will only allow your competitors to get a head start. According to a survey conducted by EpiServer, 84% of businesses would rate their own social media marketing efforts as poor or average. The survey also found that 69% of UK businesses intend to appoint a Social Media manager this year, 41% saying they expect to hire one within the next twelve months and 28% already having one in place. Perhaps you’ve already started to pursue social media marketing but are feeling overwhelmed by the vast variety of options and are not quite sure where to place your efforts. LocalDirect are social media experts and have a variety of services aimed at helping small to medium sized businesses set up and manage powerful social media marketing strategies. Social Media is here to stay so isn’t it time to start making the best use of social media marketing in your business? Make the most of this golden opportunity to connect with new and existing customers and elevate yourself above your competitors. According to Payscale.com the average salary of a full-time Social Media manager would set you back any between £47,829 and £78,297, which for many is simply not an option, especially considering the current state of the economy. But there is an alternative. With LocalDirect you only pay for the services you want and for how long you want them. Simply visit our Social Media Marketing Services page to find out more.